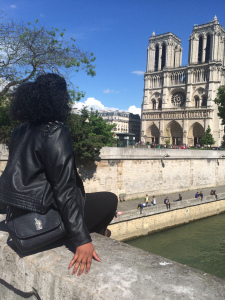 So you have a layover in Paris? ...no? Ok, well even if you don't, on the off chance that one day you DO get to land in the lovely PAIR-EEE, here is exactly how you should spend your time. 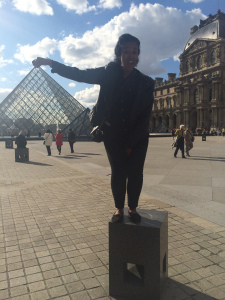 On my way to South Africa, I had a 12 hour layover in Paris. Unlike when I spent 13 hours in an airport in Germany, I got smart. With a U.S. passport, you don't need a visa to enter many countries, France included! So with 12 hours on a layover, realize that you really only have about 7 hours in the actual city after you calculate the time it will take you to get through customs, the ride to the city, the ride back to the airport, security, and customs again. With such a short time in such a beautiful place, you have to use your time wisely! A. Go to a cafe! It took me a minute to realize that a cafe in Paris, merely means a restaurant. The cafe I am talking about is the chai tea, croissant, nice book and people watching cafe. There are many, and with beautiful outside seating, you seriously can't go wrong! B. Ride on one of the boat tours! I went on the Bateaux Vedettes du Pont Neuf and it was great! It shows you almost all the major attractions (Eiffel Tower, Notre Dame, Louvre) in a one hour time span. (Some people talk about the walking tours, but honestly, after a grueling flight, the last thing I want to do is exert energy. )The tour guide was a student who spoke in English and French for some cool history lessons...ok to be honest, I could barely hear her or understand her, but she was really nice! Cool points for niceness, ALWAYS! So, besides the boat tour, I actually went to the Louvre, Notre Dame, and the my personal favorite, the Love-Lock Bridge. All BEAUTIFUL. I legit wanted to cry from all the beauty. It's something about being in Paris that makes you realize how bae-less you are LOL. C. Physically GO to the Eiffel Tower and the Love-Lock Bridge. Why? Well the Eiffel Tower is underwhelming in the daytime. So if you're lucky enough to see it at night, you gotta see it up close and personal. 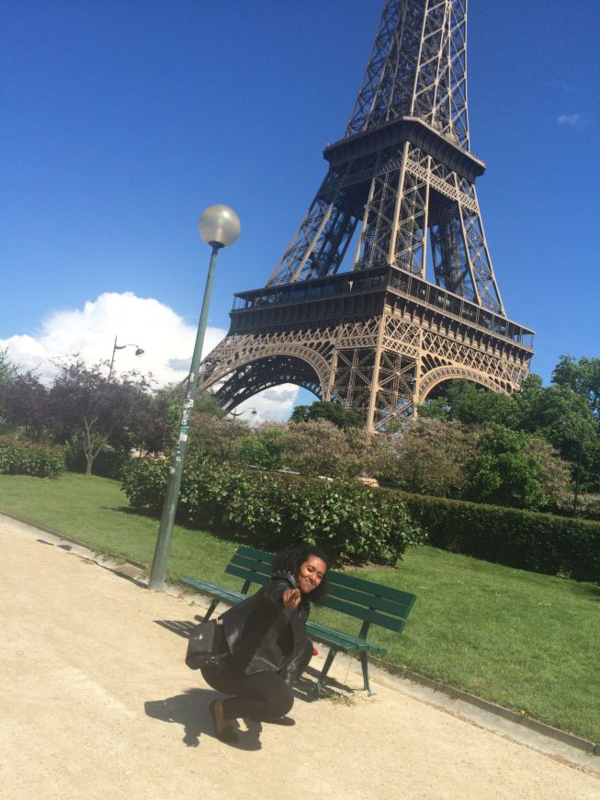 Also, there's never a better time to act ratchet, than in front of the Eiffel Tower. Scouts Honor. 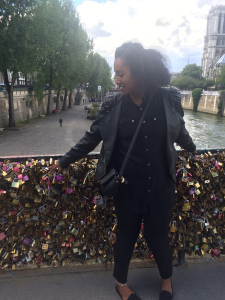 After you're done acting ratchet in front of the Eiffel Tower, go reflect on your single life at the Love-Lock Bridge. It's seriously so amazing to see all of the couples in love, or who were once in love. You think about how many of those suckers actually lasted! Ok guys, I'll quit being Bitter Betty here, but damn-it not a soul should go to Paris unless they are willing to come face-forward with all of their hearts desires to be loved unconditionally. Also, the bridge is soon going down, so it would benefit you to go before the glorious locks are removed! By the time you're done with these adventures, you'll need to catch the RER-B (metro) back to the airport, before you end up running through terminals like a mad-woman (speaking from experience here guys). Even though you spent only a couple hours, you know that you'll be back because there is nothing like the magical architecture and mystical air of love in Paris. WEE-WEE!